Kitchen Wall Lights - Hegarty Lighting Ltd. Kitchen Wall Lights There are 7 products. 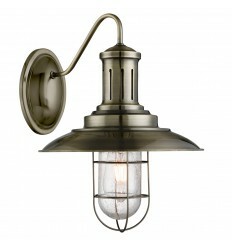 The Fisherman wall light with caged shade is a sturdy lantern with a classic, industrial finish. 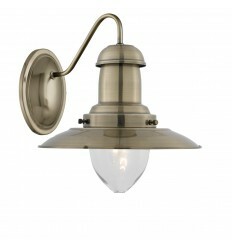 This Fisherman wall light with oval clear glass shade is a sturdy lantern with a classic, industrial style. 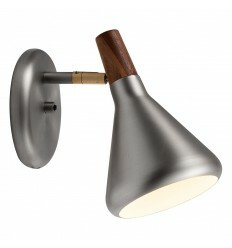 The Float wall light has either a brushed steel or copper shade and oiled walnut finial. The combination of the metal and the wood really gives this light a unique feel. 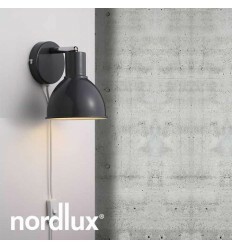 Nexus 10 wall light is available in a choice of painted or brushed steel finshes. 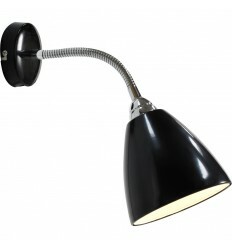 It is switched on/off, with a 90° adjustable head and has a removable 1.8m cable for optional plug-in use. 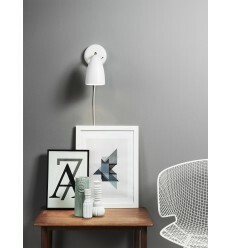 Add some colour to your home with the Pop range from Nordlux! Featuring soft, pastel colours along with more traditional black and white finishes. 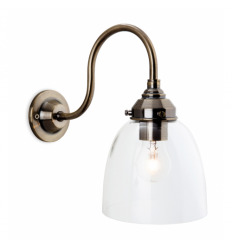 Available in a wide selection of colours these pendants and wall lights will brighten up any room. The unique design of the lamp is very minimalist and will bring an abundance of personality to any interior. The Read wall light with its flexible arm is a quality light fitting that is perfect for kitchens, retail outlets, museums and exhibition centres. The light is easy to adjust so you can focus it on products, artefacts and displays.